Many Fijians failed to realise that the existing chiefly system is not their ancient heritage; it is in fact a colonial legacy created to protect the supremacy of Bau. Bau few years before the Deed of Cession 1874 had formed the Confederation of Kubuna, Burebasaga and Tovata to all come under the supreme leadership of the Vunivalu kei Bau. The objective of the Confederacy model was to consolidate into a chiefly system that recognises the Vunivalu kei Bau as head of the Matanitu Kubuna. 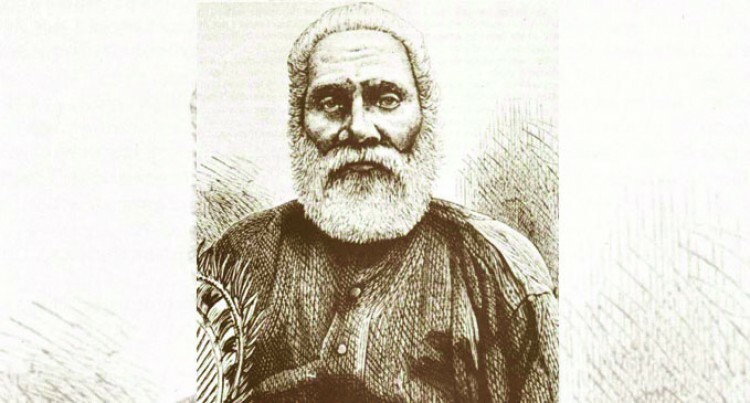 On October 10, 1874 Ratu Cakobau, the Vunivalu kei Bau a “Kai Dewala” who is a descendant of Nailatikau Nabuinivuaka the son of Nadurucoko of Navakawaluwalu, Nabukadra, Ra, ceded Fiji to become a possession and dependency of the British Crown. Earlier, in 1859 Colonel W.J. Smythe was sent to Fiji by Lord John Russell, Minster of Foreign Affairs on behalf of Her Majesty Queen Victoria to enquire about Cakobau’s request for cession. On May 1, 1861 Colonel W.J. Smythe made his report from Fiji and in 1862 presented to the British parliament of Cakobau’s cession request. The report came to the conclusion, after interviewing ten other paramount chiefs of Fiji, at Nakorotubu, Ra that Cakobau’s title as “Tui Viti” was self-assumed and by no means universally accepted by his fellow chiefs. Be as it may Cakobau’s second offer was accepted by Her Majesty Queen Victoria and the Vunivalu kei Bau with Sir Author Gordon in 1876 created a state within a state with the Separate Fijian Administration being a semi-autonomous body within the Westminster model. At the pinnacle of the Fijian Administration was the Council of Chiefs that brought the Confederation of Kubuna, Burebasaga and Tovata under Vunivalu kei Bau. The chiefly system within the model was recognised and used by the British colonial government as a tool for indirect rule. This incubated and developed that the chiefs were the security for all and custodians of Fijian identity, land and culture. When Fiji became an independent nation on October 10, 1970, it was Bau through the Alliance Party who took control of the nation’s political leadership. Whether it’s British Colonial rule, Alliance Party rule, SVT Party rule, SDL Party rule or the FijiFirst Party rule Bau’s interest will always be to protect the chiefly system that makes the Vunivalu kei Bau the paramount chief of Fiji. Fiji has witnessed some high profile challenge to the chiefly system within the Bose Levu Vakaturaga that controls the nation’s political leadership from the likes of Apolosi Ranawai, Apisai Tora, Ratu Osea Gavidi, Sakeasi Butadroka and the emergence of Prime Minister Voreqe Bainimarama. The new order has seen Bainimarama removing the Bose Levu Vakaturaga from the mainstream of Fijian politics and the entrench provisions of the 1997 Constitution, absorption of the iTaukei Affairs Board under one single administration with the Minister for iTaukei given powers to appoint representatives of the iTaukei people as board members of the iTaukei Affairs Board, iTaukei Land Trust Board and the chairmanship of provincial councils. Bainimarama has granted equal citizenry under the 2013 Constitution and has removed the political ambitions of the elite within the Bose Levu Vakaturaga that prevented the progress of the nation. Bainimarama believes that the use of race and religion to gain political power caused the 1987 and 2000 coups. But two things are clear, everyone under the 2013 Constitution is now Fijian by citizenry and the chiefs who were the security for all and custodians of Fijian identity, land and culture are not recognised by the 2013 Constitution. Although, the Bainimarama government has managed to remove the Bose Levu Vakaturaga, fully control the iTaukei Affairs Board and iTaukei Land Trust Board and has made the church religiously neutral, it has not been able to remove the political and priesthood system of the vanua and the lotu. On the other hand, RFMF as an institution was used in the 1987, 2000 and 2006 to carry out the coup but under the 2013 Constitution the RFMF is given the responsibility to ensure at all times the security, defence and well-being of Fiji and all Fijians. With all these radical reforms, the chiefly system within the Confederation of Kubuna, Burebasaga and Tovata still survives and the opening of Parliament in every sitting with the mace ‘tutuvi kuta nei Radini Bau’ signifies that Bau is still alive. But the fact is that, the title of the Vunivalu kei Bau is vacant since 1989 and Bau has not reached a consensus. Why has it taken long to install a new Vunivalu kei Bau? 1. Ratu Epenisa Cakobau II who resides in Bau has the support of the Mataqali Tui Kaba and the Yavusa Kubuna while his elder brother Ratu George K. Cakobau who resides in Mokani, a vasu of the Roko Tui Namata of Nacobua has support of some powerful tribes in the Tikina of Bau. Both are descendants of Ratu Seru Cakobau through Ratu Josefa Celua. 2. The chiefly household of Muaidule, who are descendants of the late Ratu Tevita Naulivou elder brother of the late Ratu Sir George Cakobau sons of Ratu Popi Epeli Seniloli who was the son of Ratu Josefa Celua also, have a claim but nominations for the title must fulfil the wedlock requisite. 3. The chiefly household of Naisogolaca, descendants of Ratu Seru Cakobau through Ratu Timoci Tavanavanua are female descendants. Adi Litia Cakobau daughter of Ratu Timoci Tavanavanua, the mother of the late Ratu Edward Cakobau is the father of His Excellency Ratu Epeli Nailatikau and Ratu Tuakitau Cokanauto. The younger sister of Adi Litia Cakobau is Adi Teimumu Vuikaba who was married to Ratu Tuisawau the Roko Tui Dreketi. A vasu has never been installed Vunivalu kei Bau. 4. The chiefly household of Naua, descendants of Nadurucoko through Verevereidigogo also have merits of an elder lineage but the confessions recorded by the 1915 Maxwell Commission in Bau they supported Ratu Popi Epeli Seniloli to be Vunivalu kei Bau. 1. Find a piece of evidence recorded within the iTaukei Native Land Commission which proves that Banuve the father of Ratu Tanoa Visawaqa who was the father of Ratu Seru Cakobau was not the son of Nadurocoko the son of Nailatikau Nabuinivuaka the first Vunivalu kei Bau. The evidence will suggest that Banuve was the son of Niumataiwalu of Yavusa Vuanirewa, Lau with Adi Davila of Nairai while Nadurucoko was away in Vuna, Taveuni. This is why Nadurucoko sent a tabua to Ono-i-Lau to eliminate Niumataiwalu and until today Bau and Ono-i-Lau are veitabani. If that piece of evidence is re-examined than Nadurucoko’s elder brother Raivalita’s descendants of Burelevu (Navakawaluwalu), Nabukadra, Ra’s legitimate authority resurfaces to order who will be the rightful Vunivalu kei Bau. 2. The future outcome will however point to the direction surrounding the exclusion of the Ratu Mai Verata to be a party to the signing of the Deed of Cession in 1874 which could be a reason as to why the instalment of the Vunivalu kei Bau has not taken place.The confessions by Ratu mai Vereta Ratu Penioni Ravoka in his statement dated the April 21, 1915 at the Maxwell Commission held at Bau which is clearly recorded at the iTaukei Land Commission states that Bolatabanivau, the Ratu Mai Verata in 1874 was not present during the discussions of Fiji being ceded to Great Britain. This was intentionally done to avoid the implications of the W.J. Smythe’s 1862 report which did not recognise Ratu Cakobau as the paramount Chief of Fiji which would have affected the Cession process. The consequence of ‘indirect rule’ in the post-colonial construction of Fiji provided the platform of a chiefly system engineered by Bau which Bainimarama has not fully dismantled. This can only be approached within the border framework of the existing iTaukei Affairs Act for the good government and welfare of the iTaukei people and not to be pursued to establish a monarchial model that opposes the State’s duty to protect public interest.